Use Vital5 for maintenance after you’ve completed the Forever F.I.T. programme, or for everyday advanced nutrition if you’re not looking to lose weight. 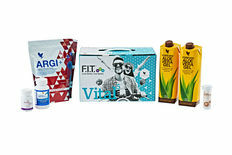 For ingredients of products contained in Vital 5 box, please see individual product listings.